Proffesional services focused to create or improve any kind of show productions. From an unique single bubble act, totally customized, until the development of creative concept that every show needs particulary. 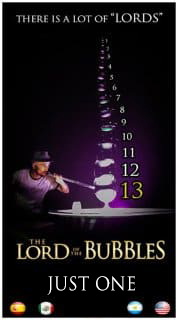 "The Lord Of The Bubbles" offers a dilated experience in all creative procces related with show business in general. 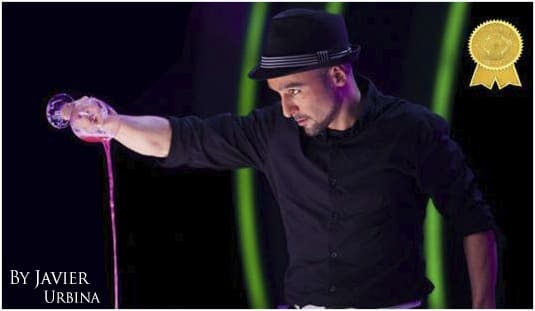 If you are looking to improve your current show production adding some bubble act for circus, theaters or even huge venues, don´t hesitate to contact us and we'll work for you upon spectacle needs creating custom proffesional solutions for each case. 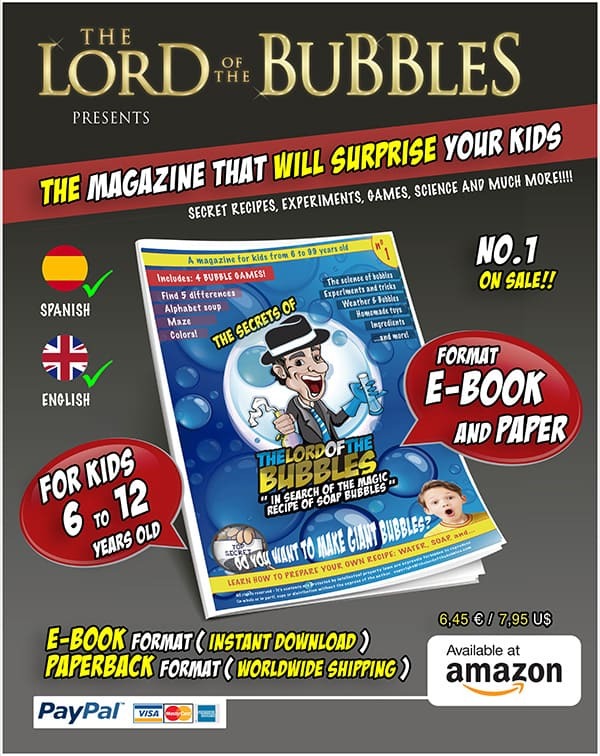 There is also available an special BUBBLE TRAINING FOR ARTIST available. Cick here. Proffesional services focused to create or improve any kind of show productions. 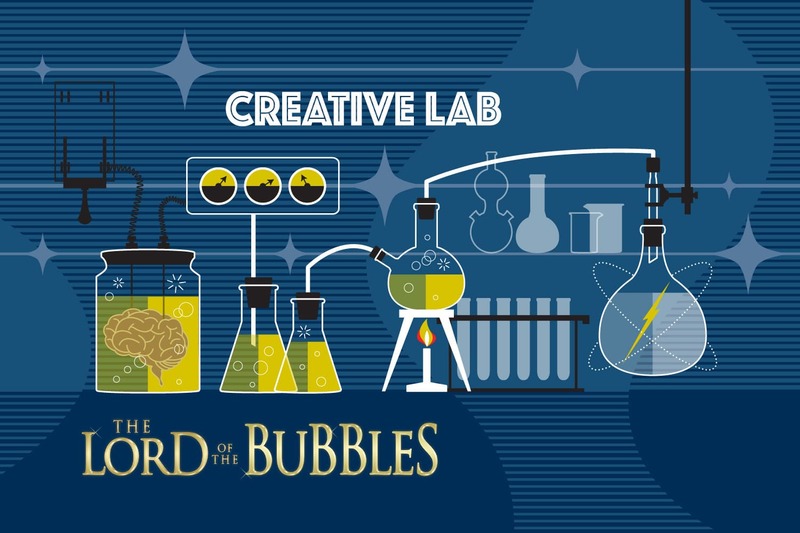 From an unique single bubble act, totally personalized, until the development of creative concept that every show needs particulary. From the creative concept to the construction of a unique and spectacular BUBBLE ACT/S to be represented ON ICE. 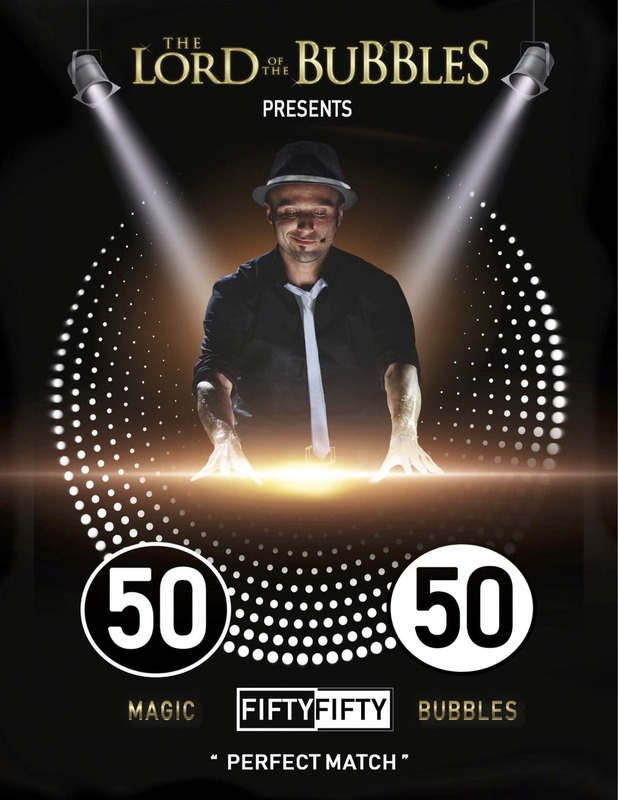 Also, special BUBBLE TRAINING for pro-skaters and new act creations made to measure. 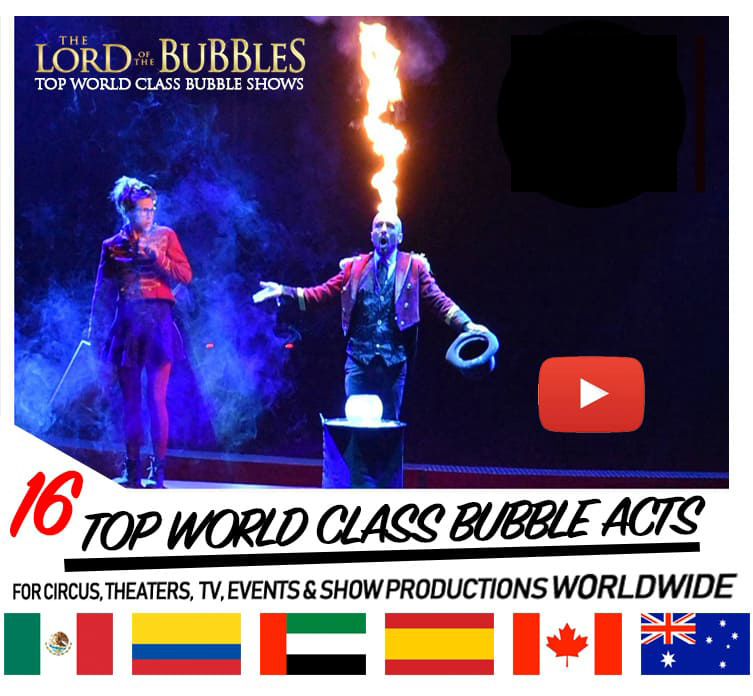 TOP WORLD CLASS BUBBLE SHOW on SEA. 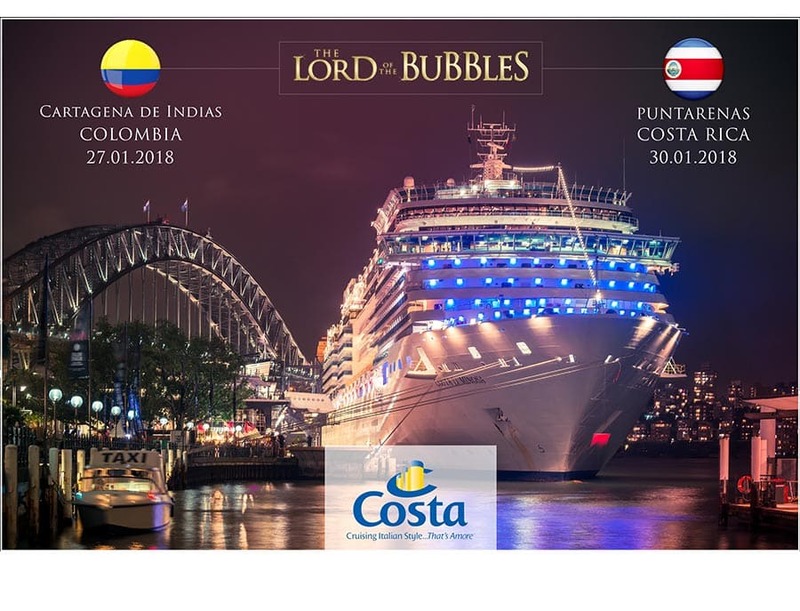 Some of our clients have been Costa Cruises (Italy) and Talin Silja (Finland) with whom we've been BUBBLING THE SEA around the world. TAKE yourself and/or your show-production ONE STEP UP. Get full advice about how to create a NEW BUBBLE ACT or improve some act that exists. Also available BUBBLE TRAINING for all kind of artists/companies. 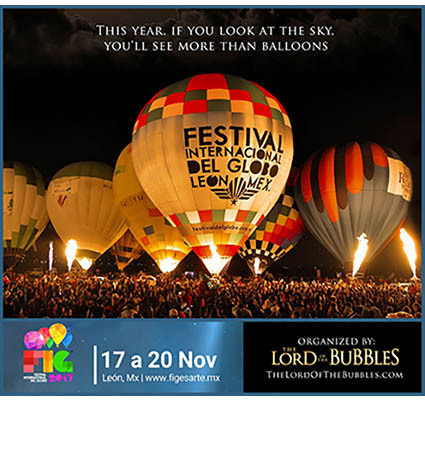 Learn how to set up a WINNING RECIPE BUBBLE SOLUTION, know all about TECHNICS and amazing BUBBLE GADGETS ready for the ACTION!